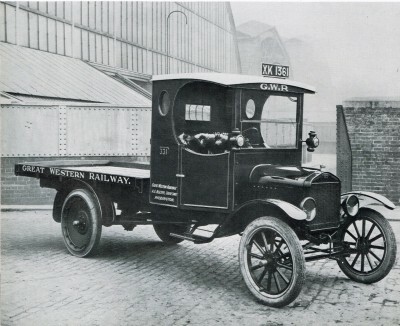 GWR took over the Cambrian Railways Company in March 1922.. In 1948 the GWR was taken over by British Railways. 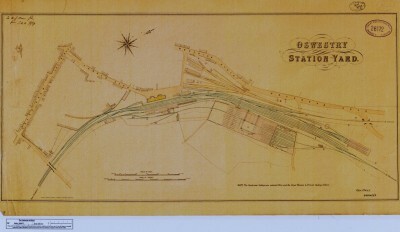 1875 map showing the Great Western Station and the Cambrian Station at Oswestry. 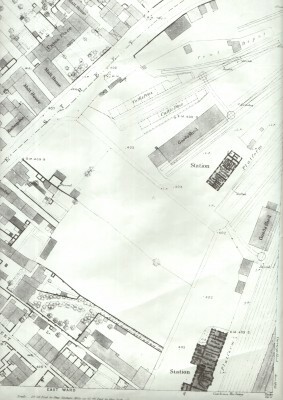 Interesting sketch plan of Oswestry Station yard dated 1879. Note the rail system going to the grain shed (Now the Railway Museum). There is only one track going to the town centre side of the building and none going into the grain shed. Also the footbridge over the tracks to the Railway Works is in situ. 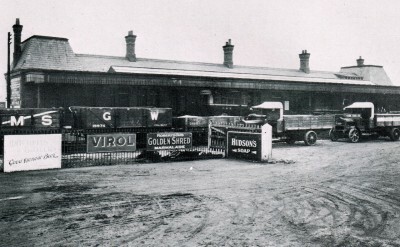 Oswestry GWR station photo taken 7th November 1928 showing the station being used as a Road Vehicle Depot. A nice selection of enamelled signs can be seen. 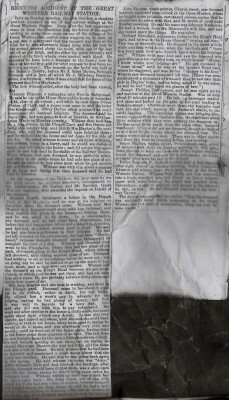 Report from the Oswestry Border Advertizer describing an horrific fatal accident in the sidings of the Great Western Station at Oswestry. 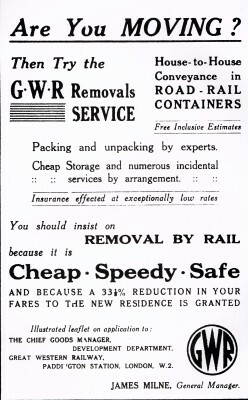 Nice GWR advert advertising the GWR removals service. These would have been on bilboards around the various stations. 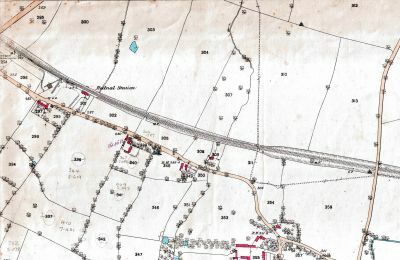 1875 map showing Rednal station. 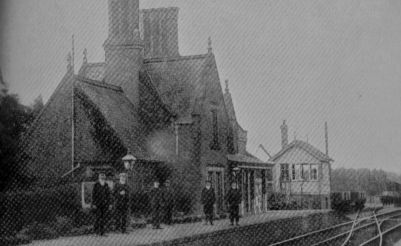 Very early photo of Rednal Station. Date not known The station opened in 1846 as a minor station on the Great Western Railway (GWR) Paddington to Birkenhead main line. 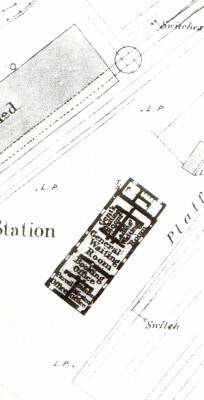 The distinctive red brick station building could be seen on the west side of the line. (The building reverted to a private dwelling in 1975). On 7th June 1865, a Permanent Way gang (used to repair track and grounwork) was repairing the "up" line 600 yards north of Rednal station on a 1 in 132 gradient that falls from Whittington. A green flag had been set 1100 yards away at the top of the incline as a warning. At 12.29 that day, an excursion train from Birkenhead left Chester for Shrewsbury consisting of 28 coaches and 2 brake vans, being hauled by 2 locomotives. An additional 4 coaches were added at Gobowen. When the train reached Whittington it begain to gain speed on the gradient but the driver of the front locomotive failed to see the warning flag. The brakes were applied when the workmen were sighted but it was too late to stop such a heavy train. The lead locomotive derailed on the unsupported track, but continued along the ballast until it reached a point outside Rednal Station where it ran off the track and turned over. The extreme weight of the following train meant that the first 4 carriages were completely destroyed , killing 11 passengers and the 2 train crew.. The following enquiry while criticizing the lack of braking power on such a massive train, blamed mainly the inadequate protection of the Permanent Way gang which should have supplimented the flag warning with detonators on the track. 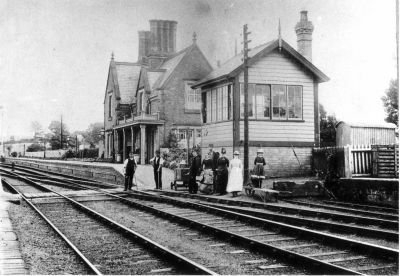 Photo of Rednal Station looking from the other direction. Date not known. 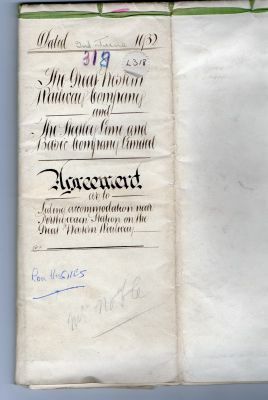 1932 June 2nd Agreement between The Great Western Railway Company and Steetley Lime and Basic Company Ltd. for repairs and maintenance of the junctions sidings at Porthywaen. 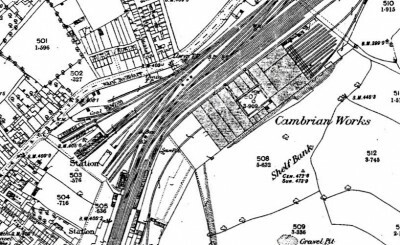 This document is 6 pages long and highlights all the sidings going from the main GWR line at Porthywaen into Porthywaen Quarries. At the end of the document is incuded a linen pull-out diagram of all the sidings. 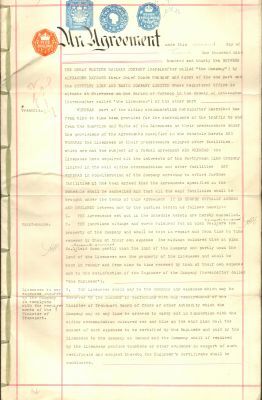 1st page of the above document. 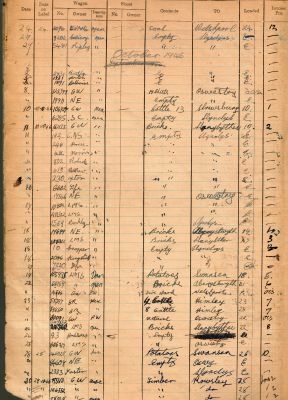 GWR freight despatch book listing all freight leaving Buttington Junction to various destinations throughout the country, dating from April 1945 to September 1960. 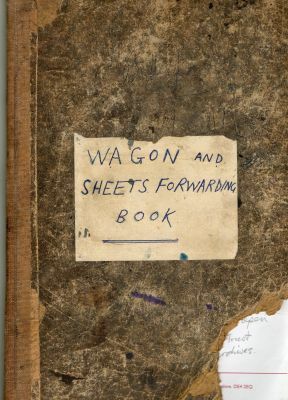 This book shows the plate number of the wagon, owner , and type of wagon, contents and the destination of that wagon. 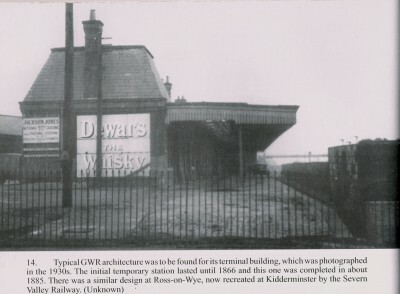 A unique piece of GWR history. 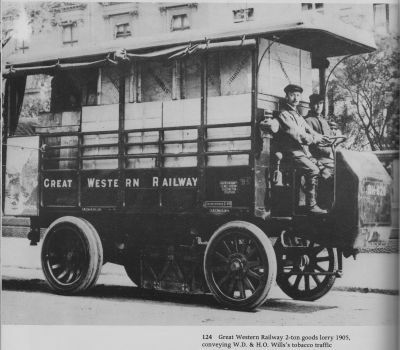 1905 GWR steam lorry carrying tobacco supplies.